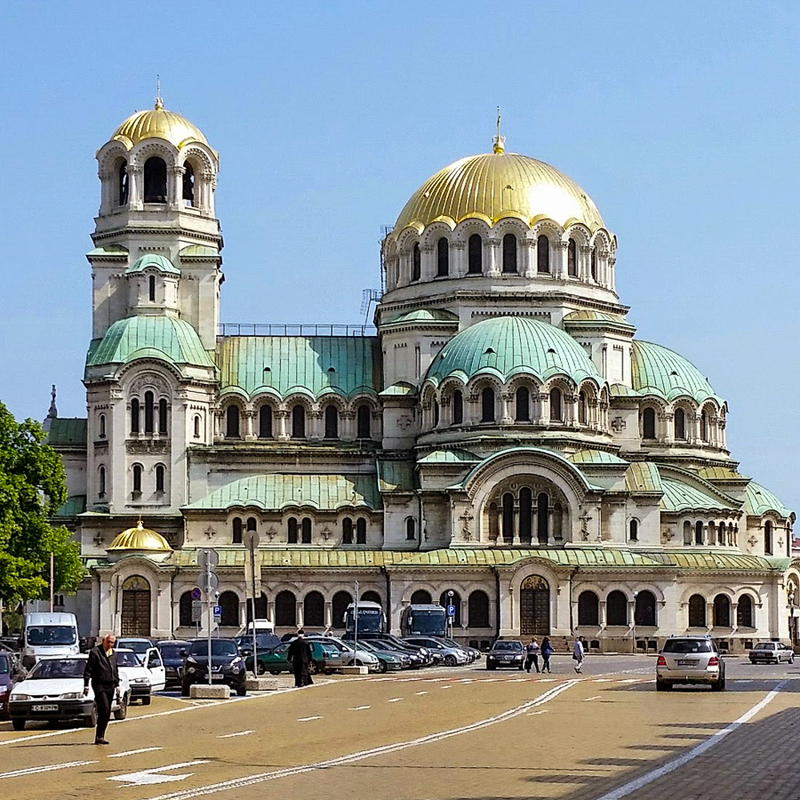 Alexander Nevsky Cathedral in Sofia, Bulgaria, is said to be the largest Orthodox church in the world. 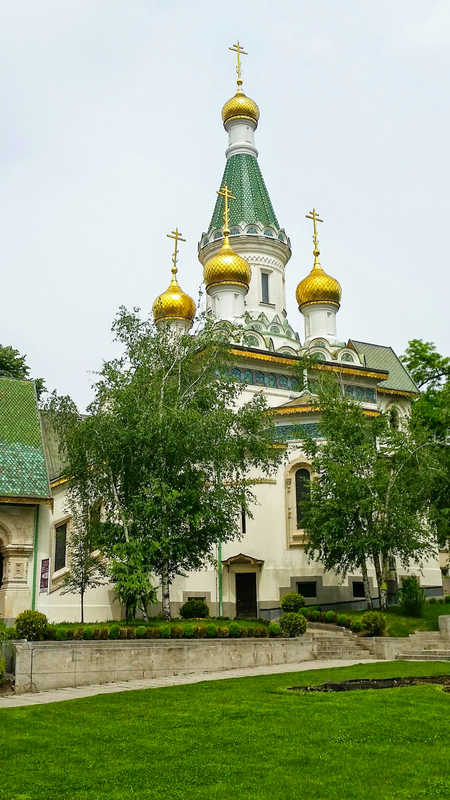 The church was built in 1882 to honor the Russians who died between 1877 and 1878 in liberating Bulgaria from the Islamic Ottoman Empire. The golden dome is 45 meters high. 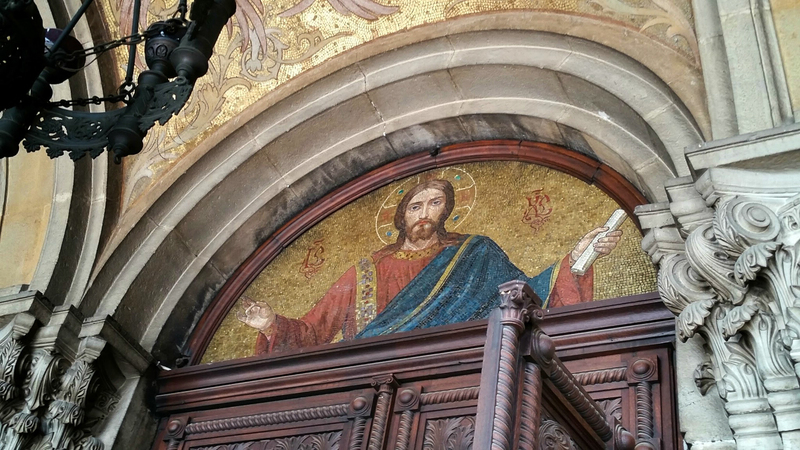 Christ the Teacher welcomes you into his cathedral. 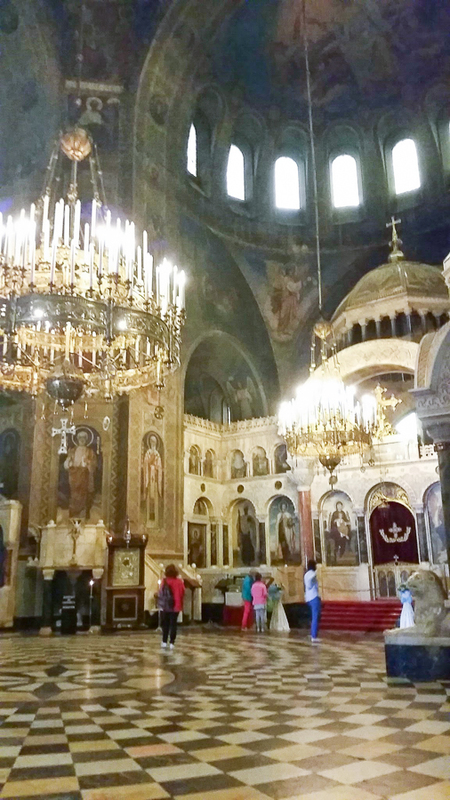 The interior of Alexander Nevsky Cathedral. 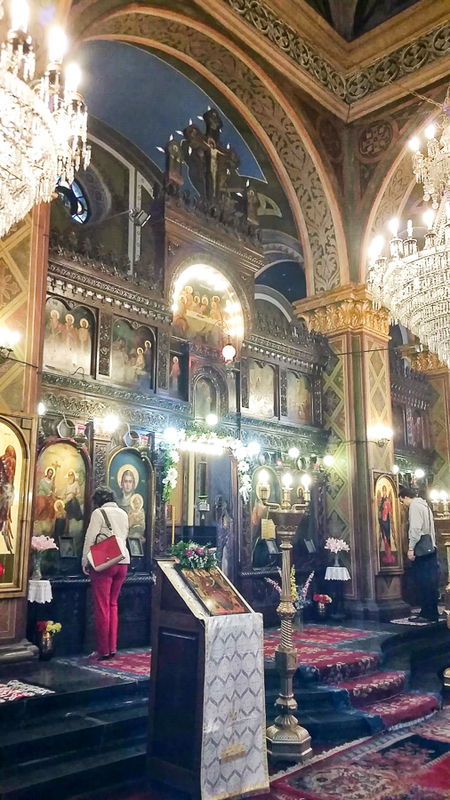 The iconostasis in the church of Saint Alexander. 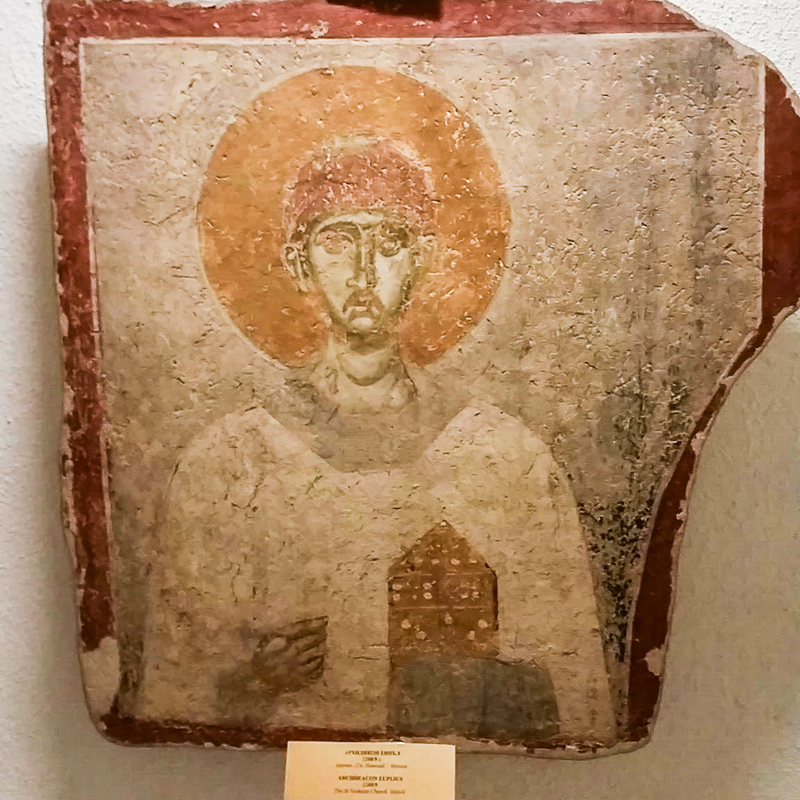 From the museum under Alexander Nevsky Cathedral. Saint Treime, i.e. Holy Trinity. 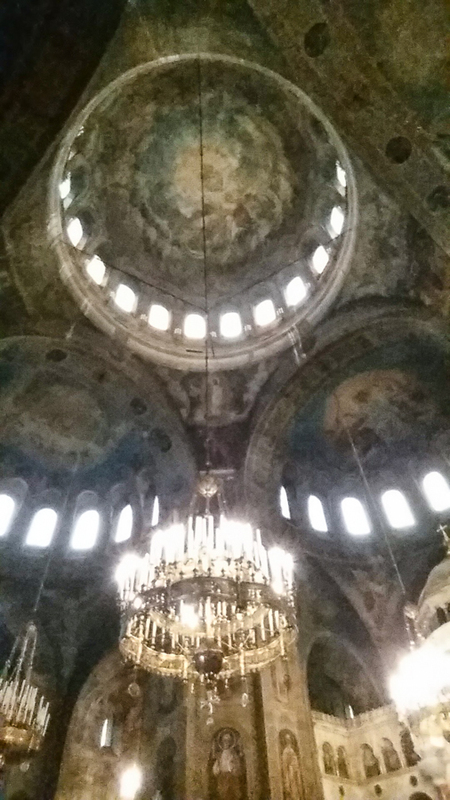 This entry was posted in Europe, Travel and tagged Bulgaria, Cathedral, Nevsky, Orthodox, Sofia on June 24, 2015 by frjfkauffmann. 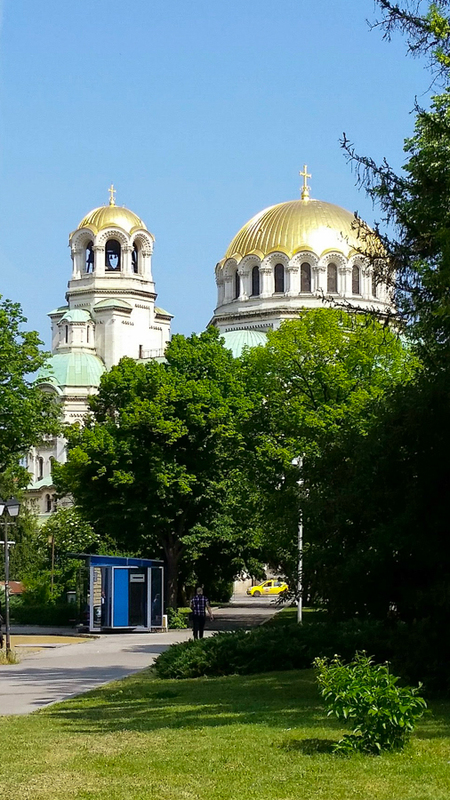 Saint Sophia church is the second oldest church in the city of Sofia, Bulgaria, dating to the 6th century. 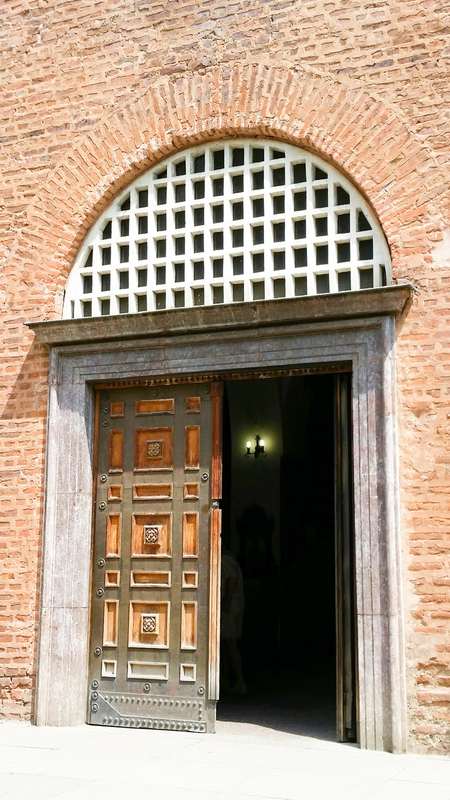 Front door into Saint Sophia. 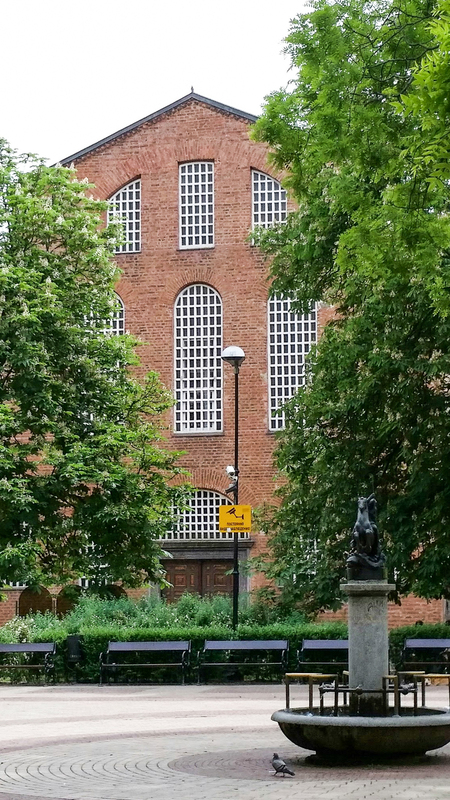 The current building is on a site of several earlier churches as far back as the 4th century. 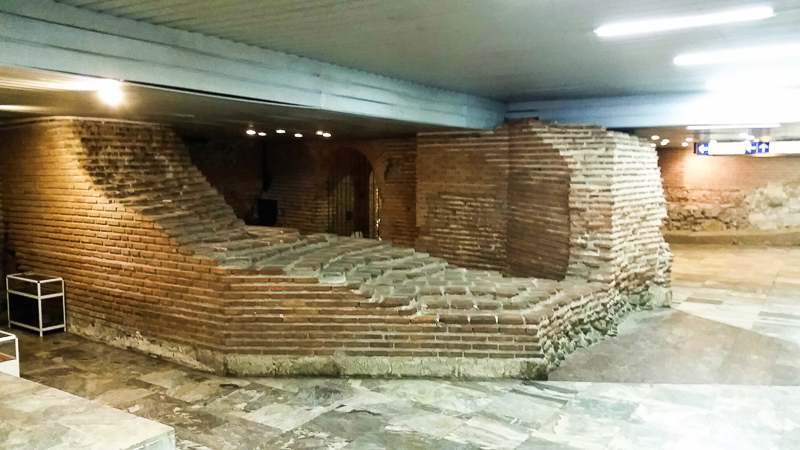 The Council of Serdica was held here in 343. The interior is stark and devoid of its earlier frescoes since the Muslims turned it into a mosque in the 14th century. The Muslims destroyed the 12th century ornamentation. 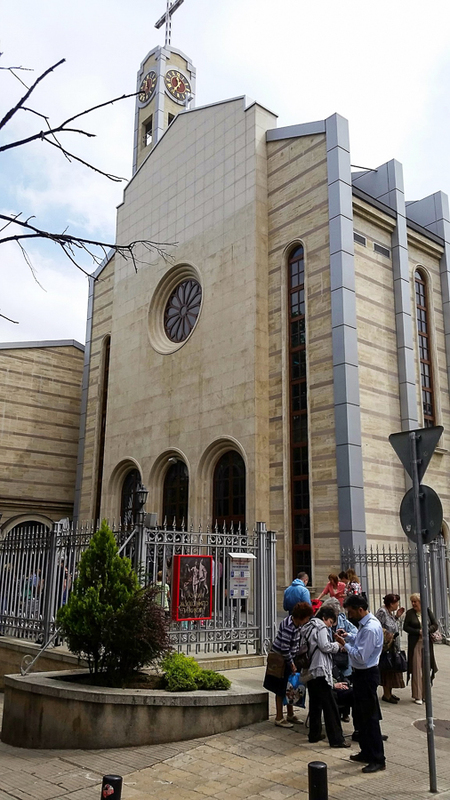 Although devoid of its interior beauty, in the 1900’s restoration began to convert it back to a church after 500 years as a mosque, and you can see the striking architecture that makes this one of the most valuable pieces of eastern Christian architecture. When I walked in I was delighted. 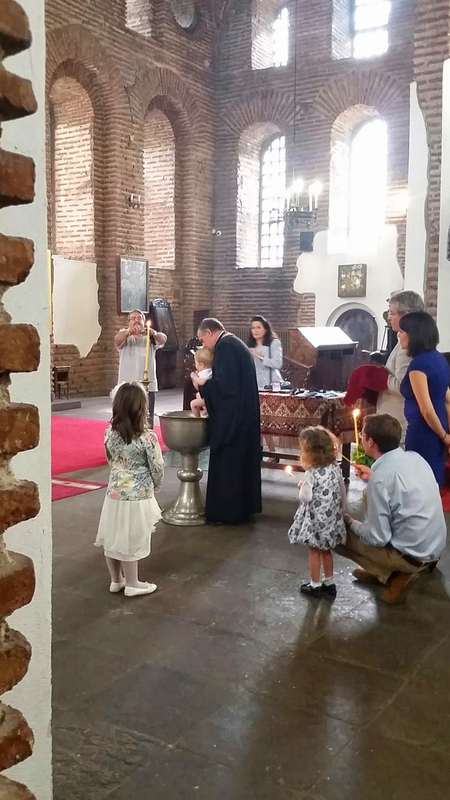 The sacrament of baptism was being celebrated. 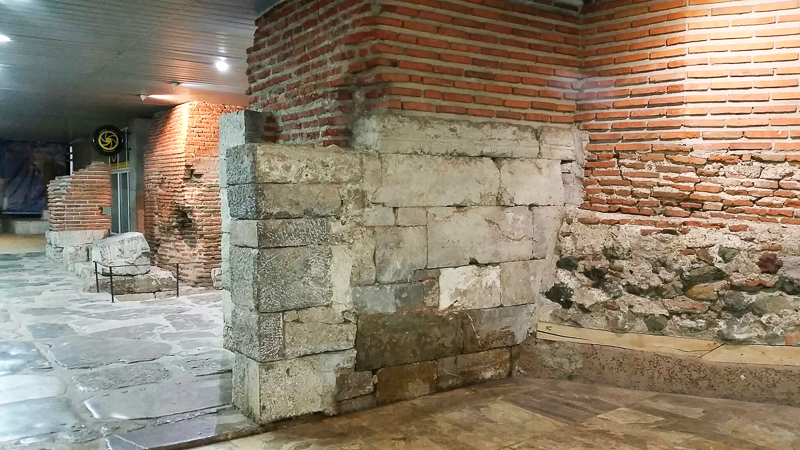 The archaeological execavation under the church has preserved part of the necropolis of the ancient city of Serdica and the ruins of the previous churches. 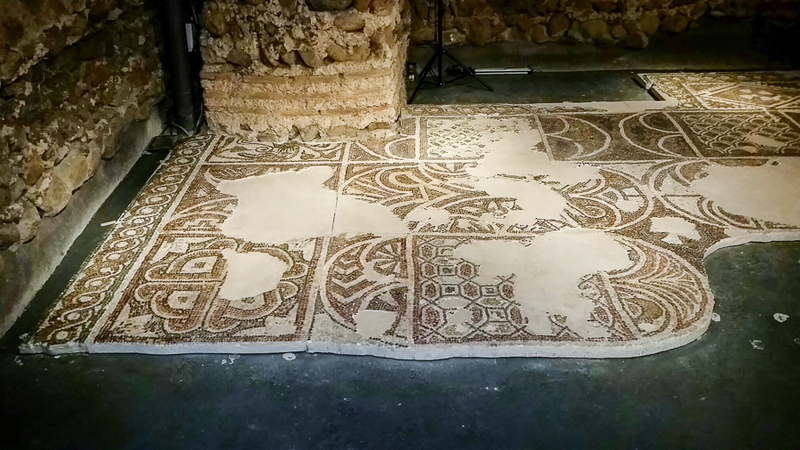 Fragments from the floor mosaics of the 5th century church. 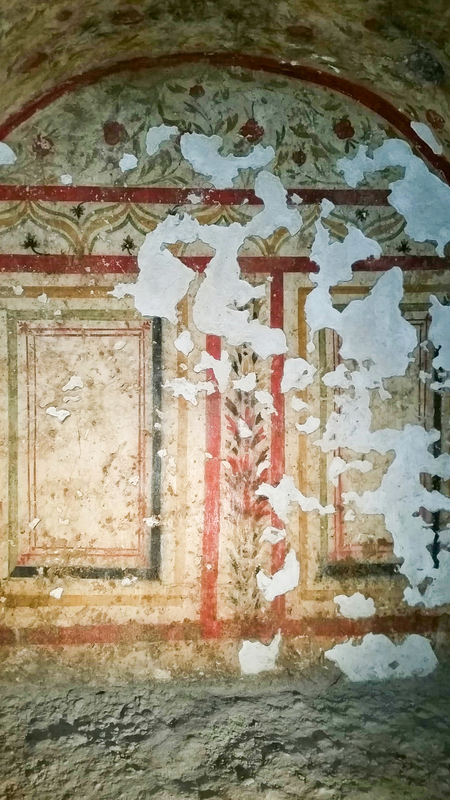 The interior of an ancient mausoleum. 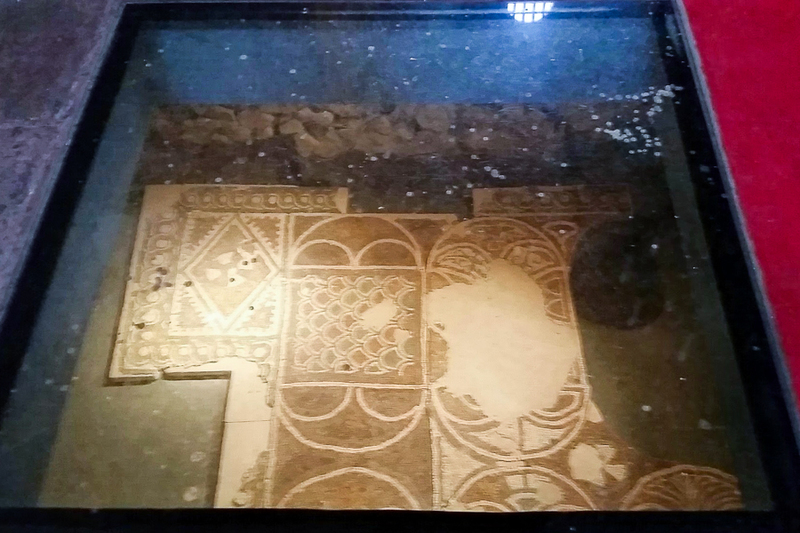 The original floor mosaic is in the museum. 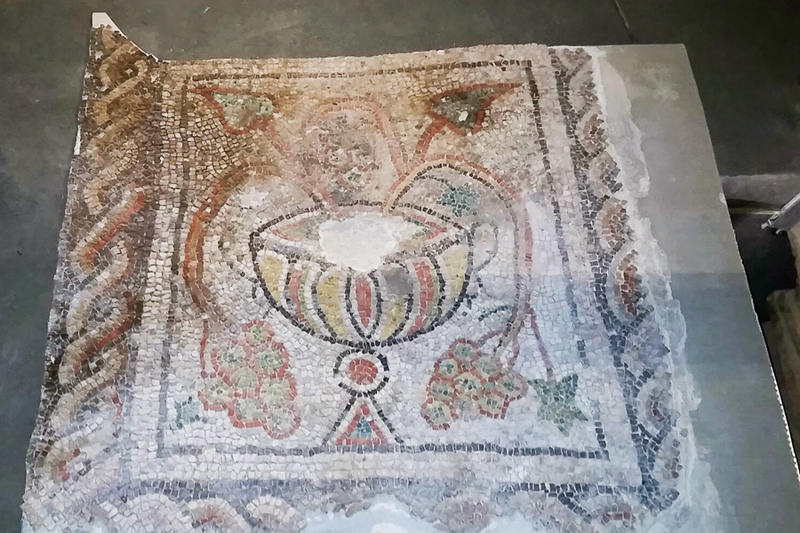 This is a copy the paradise mosaic from the apse of the 4th century church. 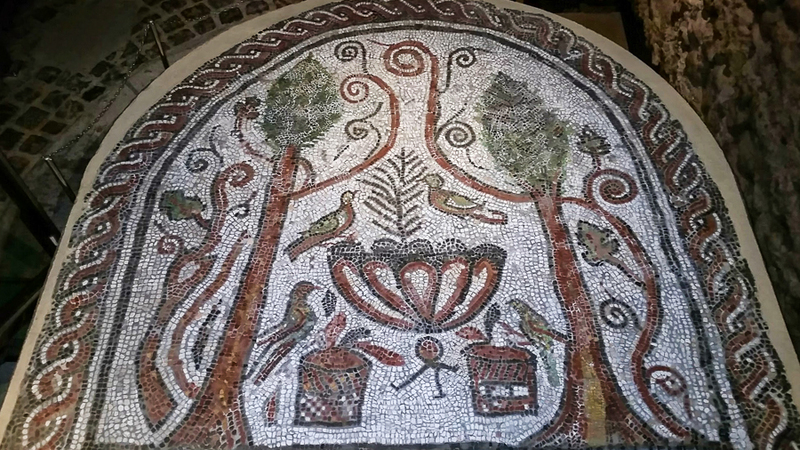 The mosaic is a scene from the garden of Eden. The cypress trees symbolize eternity. 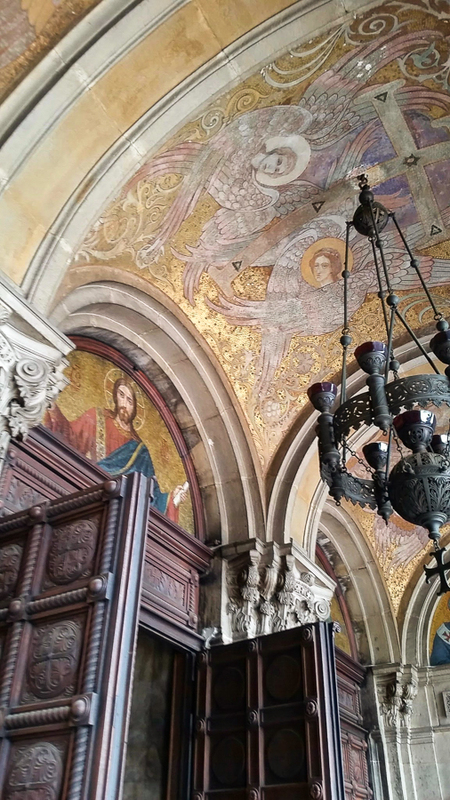 Notice the heavenly birds around the baptismal font. The mosaic is framed by a plaited pattern that is a symbol of infinity. 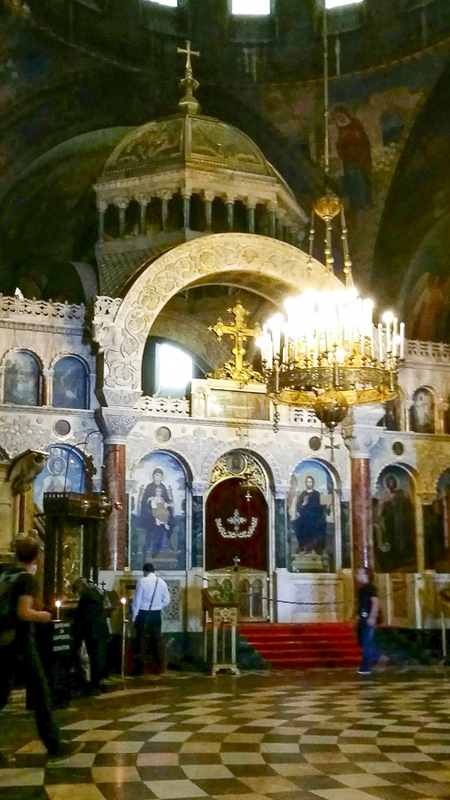 Looking from the current Saint Sophia into the floor mosaic of the earlier church. 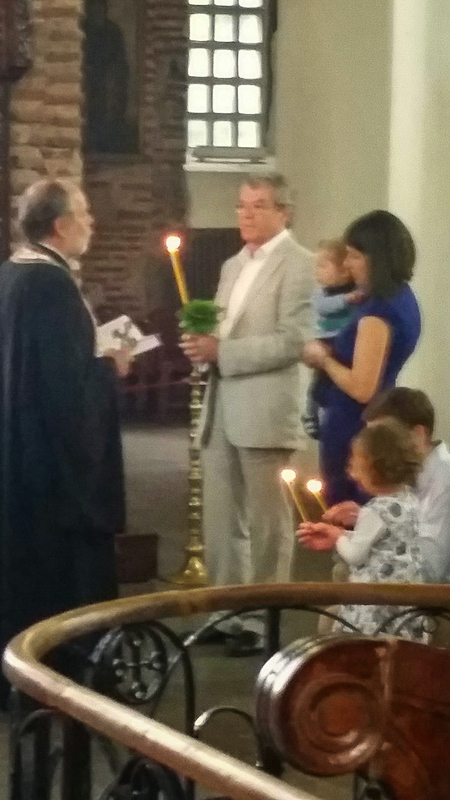 This entry was posted in Faith and tagged Bulgaria, Church, Sofia on June 15, 2015 by frjfkauffmann. 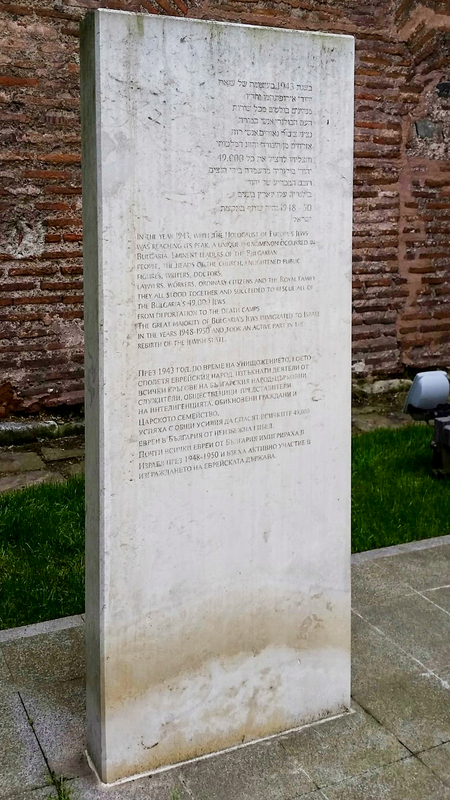 When I walked out of Saint Sofia church I noticed three marble slabs set up in a garden space in the side yard. Not knowing to what they were dedicated, I was very intrigued. When I walked up I rejoiced. 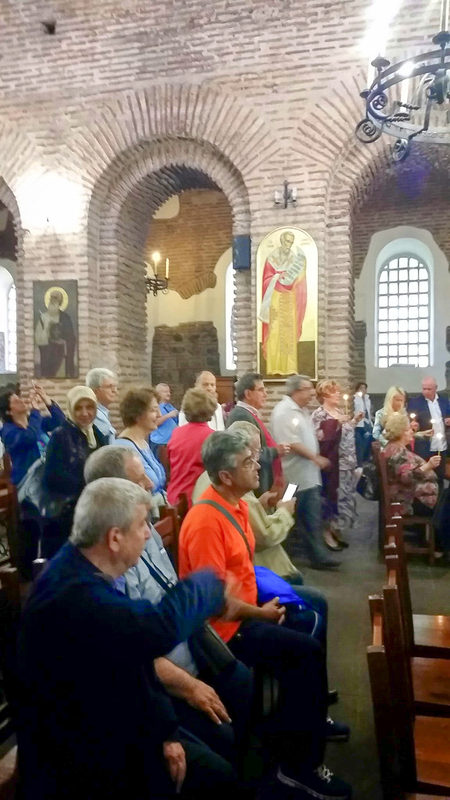 They commemorated how the Bulgarian people resisted the Nazi program of extermination of their Jewish citizens. Click these to enlarge. 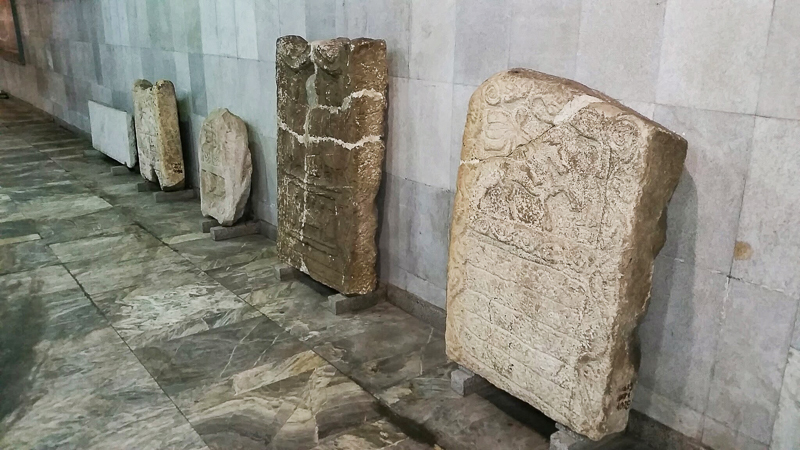 The slabs have inscriptions in Hebrew, English, and Bulgarian. 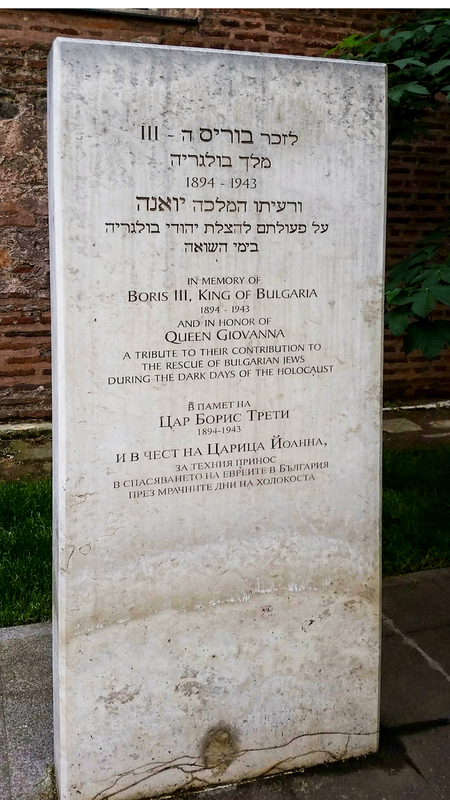 The first was dedicated to King Boris III and Queen Giovanna who contributed to the rescue of the Bulgarian Jews during the dark days of the Nazi anti-Semitism. The second was dedicated to Metropolitan Kril that is the chief bishop and the Deputy Speaker of Parliament, and other brave Bulgarians who struggled to rescue Jews. The third states how eminent political leadership and the leadership of the church enlightened the people so that they stood united and rescued all 49,000 Jews from deportation. 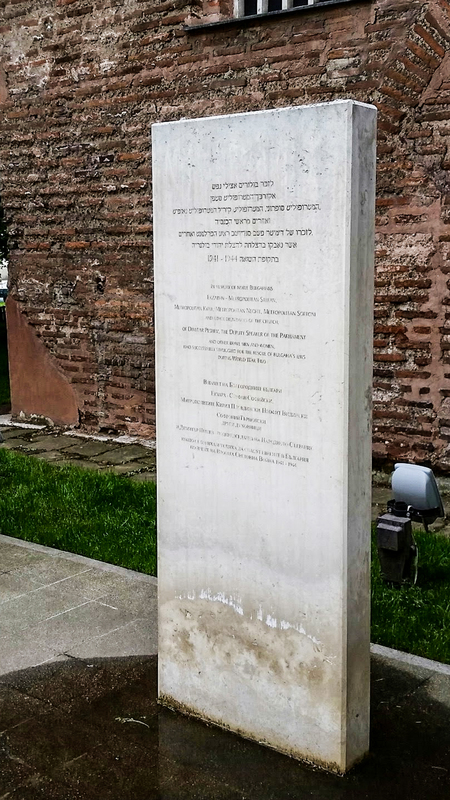 A memorial outside of one of Sofia’s oldest Christian churches spoke to me of how the faith informed the conscience of the Bulgarian people to resist this Nazi anti-Semitism which the Christian faith not only condemned, but empowered everyone to take action and resist evil. That was an exceptional witness to power of the Gospel. 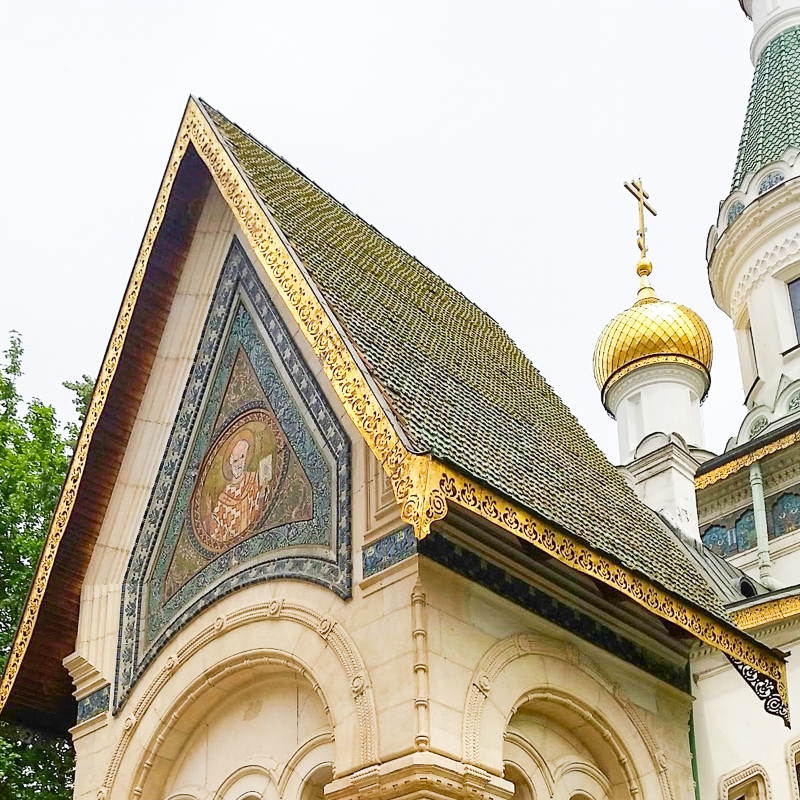 The Jewish synagogue is the largest Sephardic synagogue and a magnificent structure that was dedicated on September 9, 1909 in the presence of the family of the Russian Tsar. The Jewish community was wealthy and respected. 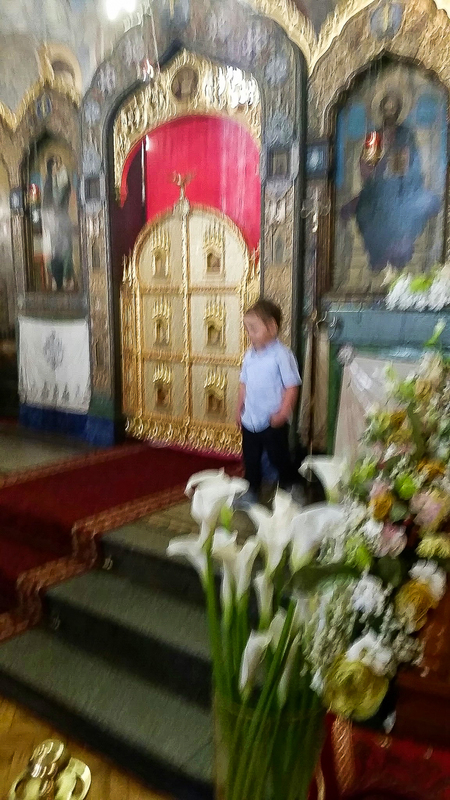 This entry was posted in Europe, Faith, Travel and tagged Bulgaria, King Boris III, Queen Giovanna, Sofia, Synagogue on June 10, 2015 by frjfkauffmann. 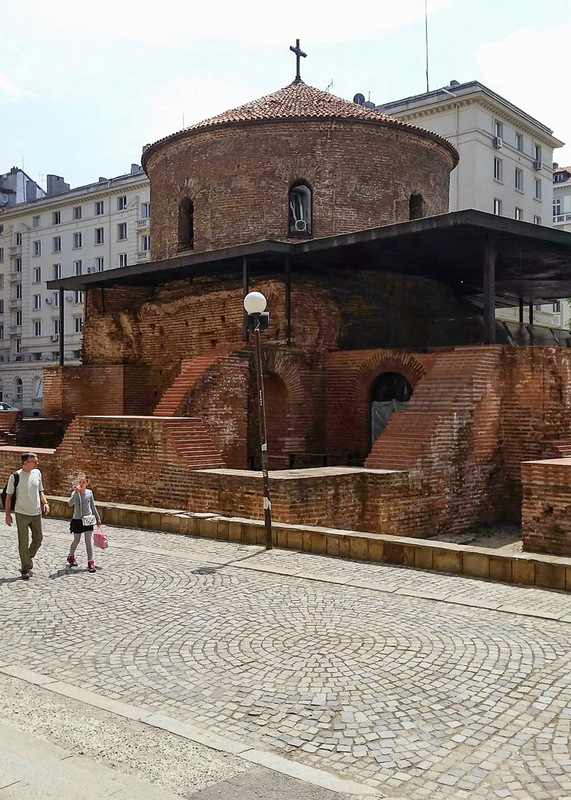 Rotunda of Saint George, in Sofia, Bulgaria. 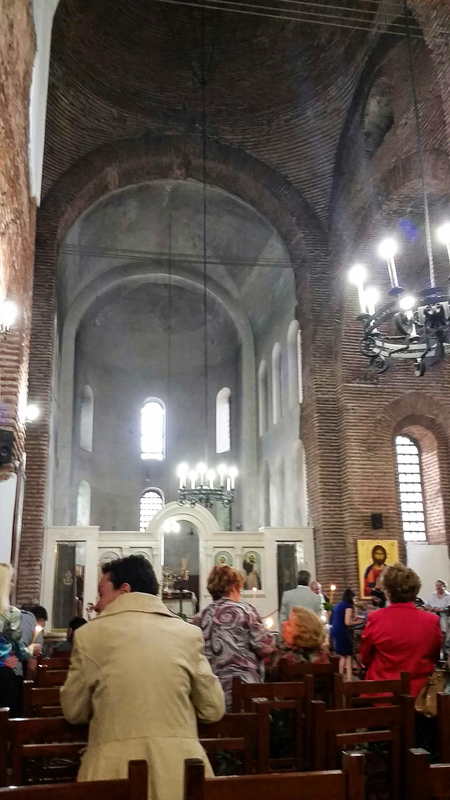 The church was where 316 bishops convened for the council of Serdica in 343 in the ongoing struggle with Arianism. 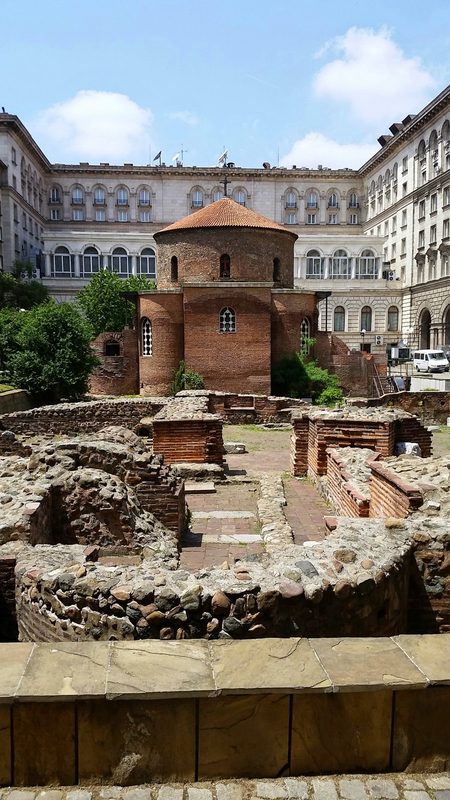 The Rotunda of Saint George is one of the oldest buildings in ancient Serdica built by the Romans in the 4th century. 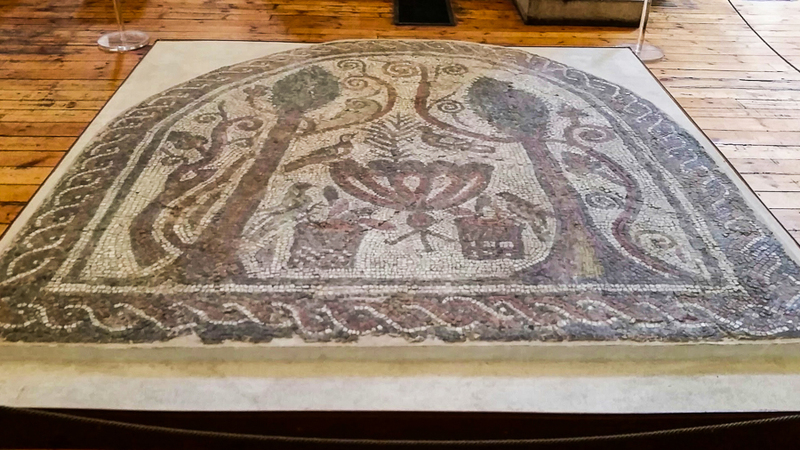 It was part of the palace of Constantine. In the foreground are ruins of ancient Serdica. 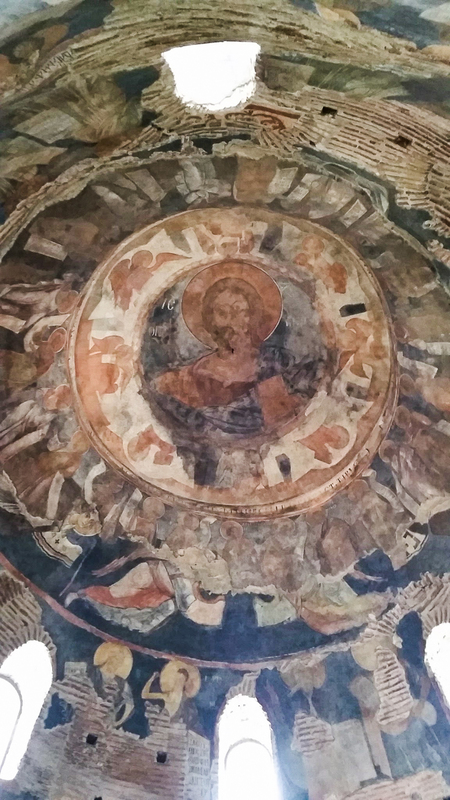 When the Muslims conquered the city they turned it into a mosque and plastered over the 12th to 14th century frescoes. 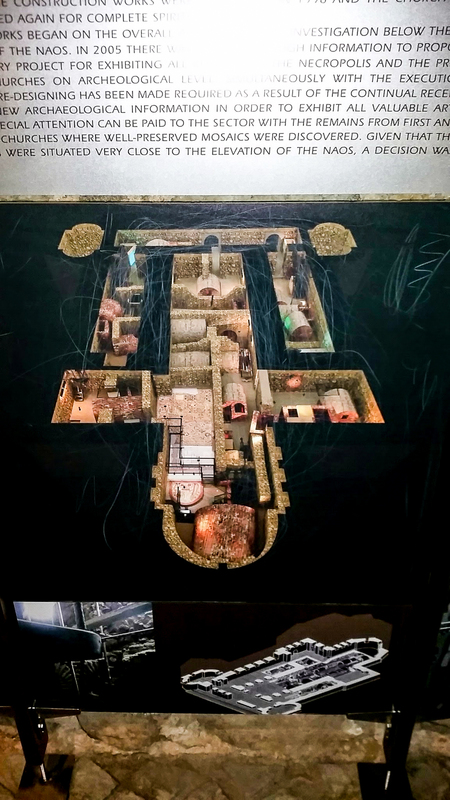 They were uncovered in the 20th century and once again is a functioning church. 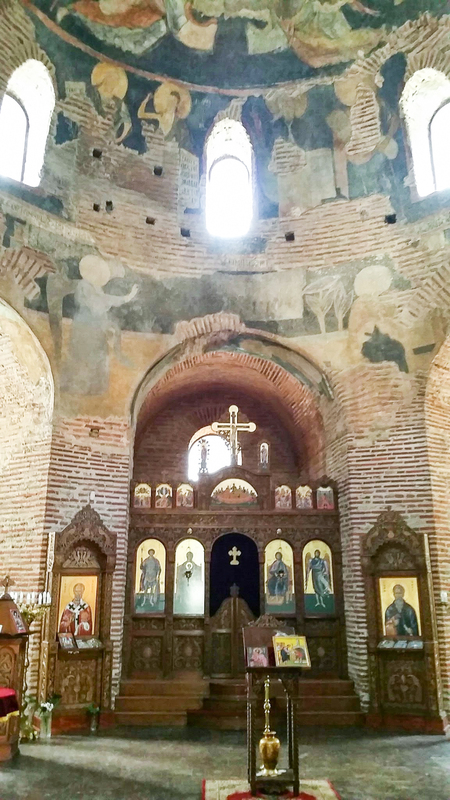 This entry was posted in Silk Road, Travel and tagged Arianism, Bulgaria, Saint George, Serdica, Sofia on May 28, 2015 by frjfkauffmann. 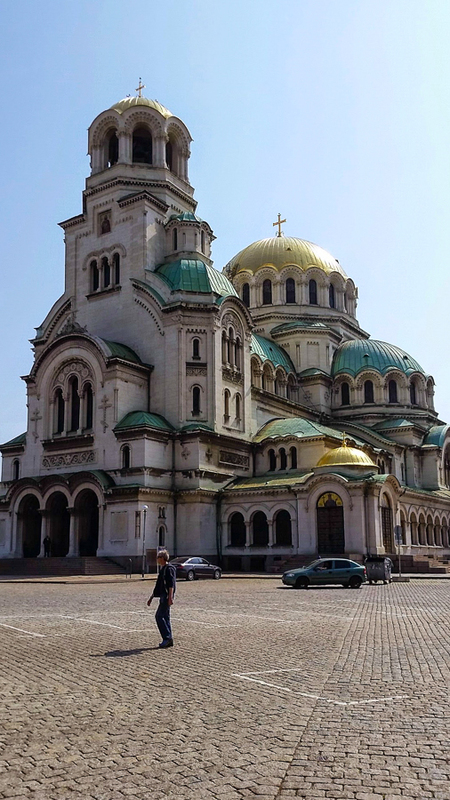 This is Saint Nicholas the Wonder Worker Russian Orthodox church, in Sofia, Bulgaria. 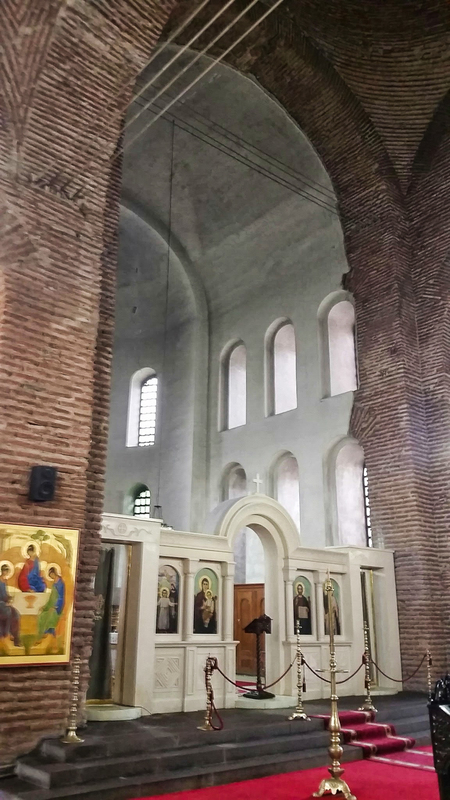 The Russian church was consecrated in 1914. 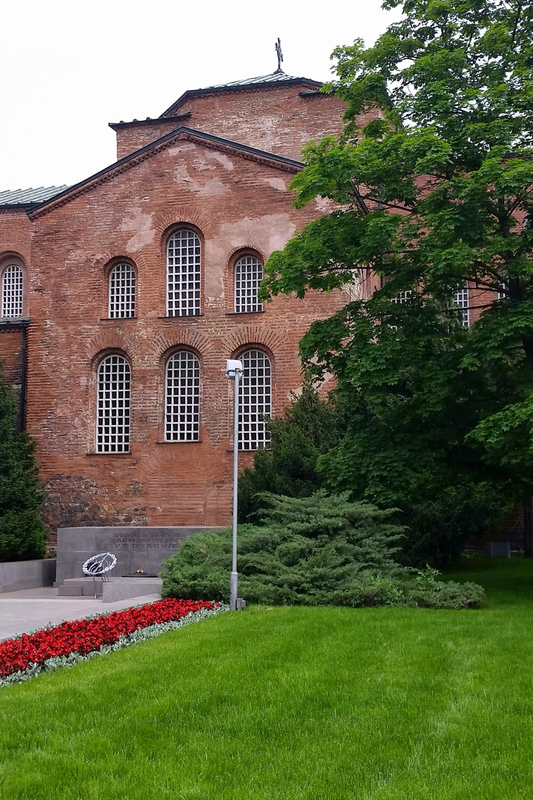 It was built on the site of the Saray Mosque that was destroyed in 1882 when Bulgaria was liberated from the Islamic Ottoman Empire. The tile work with multicolors glistens in the sun. 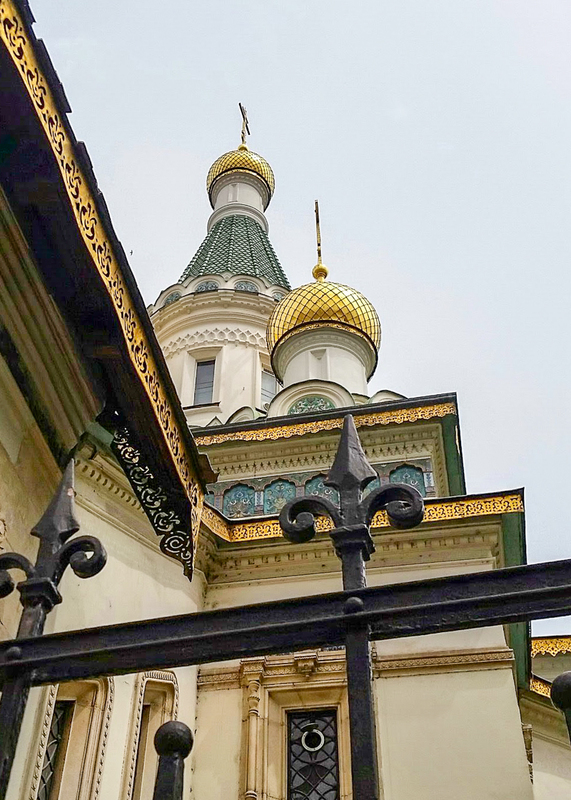 The bells were given by Czar Nicholas II. 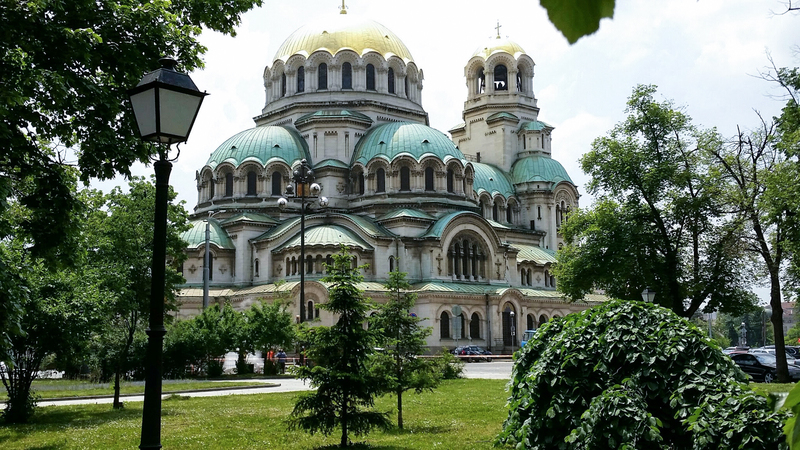 This entry was posted in Silk Road, Travel and tagged Bulgaria, Ottoman Empire, Saint Nicholas, Sofia on May 26, 2015 by frjfkauffmann.